There has been a particular recipe sitting on my shelf for far too long, and now that I’ve tried it, I don’t quite know what I was so afraid of. 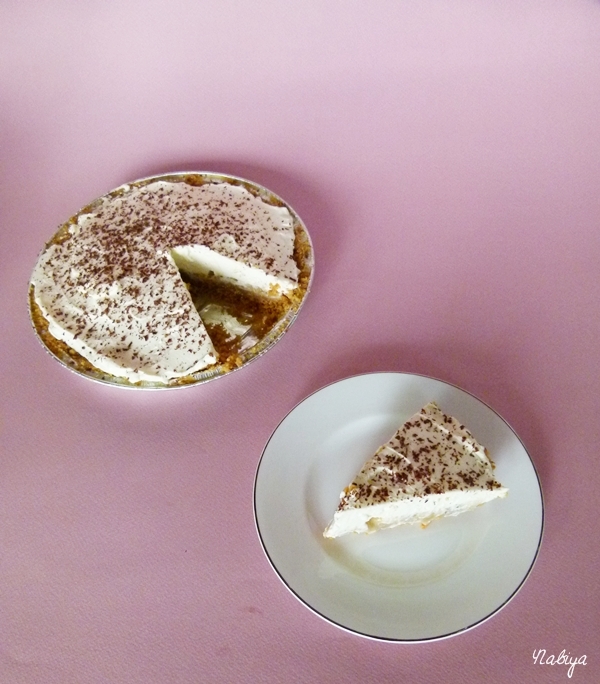 I’ve been terrified of trying Banoffee Pie, or any caramel based recipe, due to the fact that I’m afraid to make caramel. I can’t for the life of me understand why. It’s incredibly easy, and oh-so-satisfying to taste the results. Unless you’re an idiot like me and taste it right out of the hot saucepan. I’m still waiting for my lip to blister, wondering if it will be so unsightly that I may need to take some days off work. LOL, jokes. 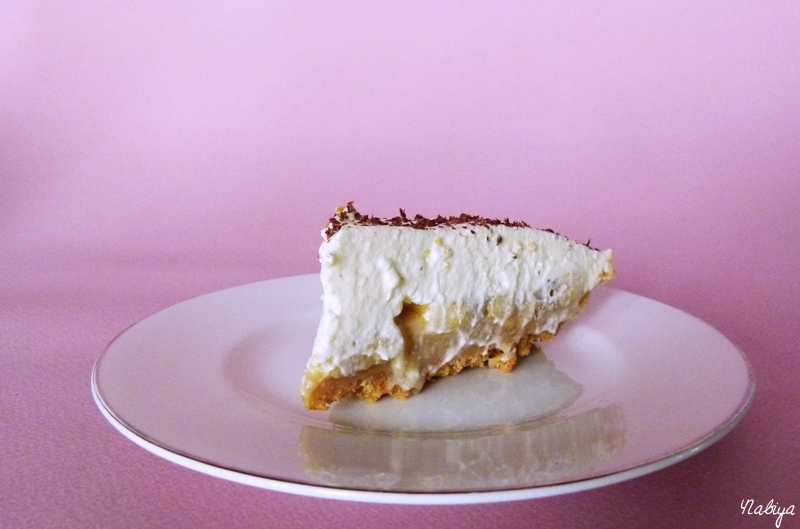 A good friend of mine asked me last week if I can do Banoffee Pie, and I told her the truth: that I’ve never tried it, but have always wanted to try. She then went on to say that she’s got a friend who may be interested in asking me to do the dessert for her wedding! 60 mini Banoffee Pies! Is it silly of me to even try and wish for this gig? I whipped up (heh, geddit?) a sample for her, and made a test pie to go with it… from my side, the flavour and texture turned out great, and everyone here seems to like it. I just wonder if she’ll feel the same. Sitting on tenterhooks here and biting my nails to boot! 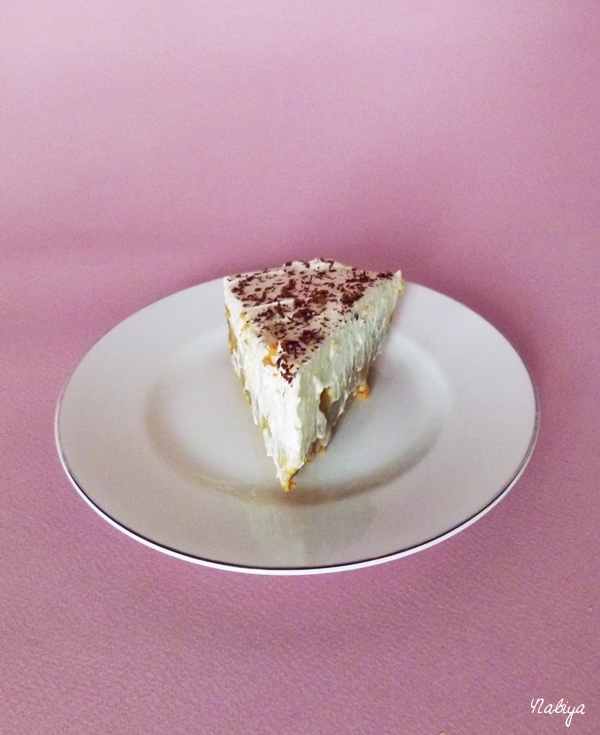 But that said, whether or not she goes for my Banoffee Pie, I’ve not opened up a whole new world for myself! CARAMEL! It couldn’t be easier, and now I’m dying to make more pies to give away to friends and family members!